Earth has not been lost. On the contrary, it’s been saved by the Lightworkers who are emitting more and more Light daily, and the company of heaven who have dedicated their lives to raising Earth into the higher vibrations. 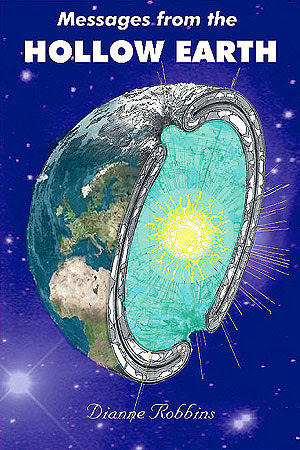 In the Hollow Earth, heaven is all we experience, and if there were clouds we would “walk on them” as your saying goes. Soon, you too, will feel the exuberance of “walking on clouds”, as your clouds literally fade away and your atmosphere “lightens” up as the density dissolves and the pollution decreases, to bring your clarity of mind into focus as the new heaven descends upon your Earth plane and you, at last, can touch the stars. All life forms presently on Earth are opting for the ascension. However, some will ascend with the Earth and with us at this time, and the others who have been unconscious of their inner choices and unwilling to ascend at this time, will do so at a later time. Know that the Earth’s ascension is assured. The people in the Hollow Earth are overjoyed with the rise in frequency that has taken place over the last few years. We yearn to connect with you in the physical, and now this connection is fully assured. We can even “guarantee” this, as you would say above. Yes, you are above us, but depth of location is irrelevant. For with peace coming to the planet, all life will be assured of rapid evolvement to make up for the lost days of darkness. I have dedicated the last 30 years of my life to bring through transmissions directly from the Inner Earth Realms and Nature Kingdoms, to help us understand the Interconnectivity of all Life on Earth – which is a Key to our Ascension.